Throughout 2018, Responsibility.org has supported impactful legislation across the nation that fights underage drinking and impaired driving. This year, two Idaho state senators went the extra mile in championing strong road safety policies. Responsibility.org is proud to award Senator Grant Burgoyne (D-District 16) and Senator Melissa Wintrow (D-District 19) with the 2018 Leadership Award for their combined leadership in supporting House Bill 551. This bill mandated the use of ignition interlocks for all convicted DUI offenders as a part of a comprehensive approach to eliminating impaired driving. Responsibility.org recognizes the lifesaving potential of this bill and salutes these Senators for their hard work in getting HB 551 passed into law. Ignition interlock devices are a top priority in the fight to end drunk driving across the nation but especially in Idaho. In 2016, 77 lives were lost to impaired driving, translating to 30 percent of all motor vehicle fatalities in Idaho (NHTSA, 2017). Now that interlocks can be utilized more broadly, as envisioned by H.B. 551, a greater number of drunk driving trips may be prevented, thus protecting the public and ultimately, saving lives. Therefore, the passage of this legislation served a “step in the right direction” for saving lives. Senator Burgoyne and Senator Wintrow are two of the nine state legislators, six attorneys general and governor that we have awarded with the 2018 Leadership Award. Follow our blog posts to read more about our other Leadership Award winners. 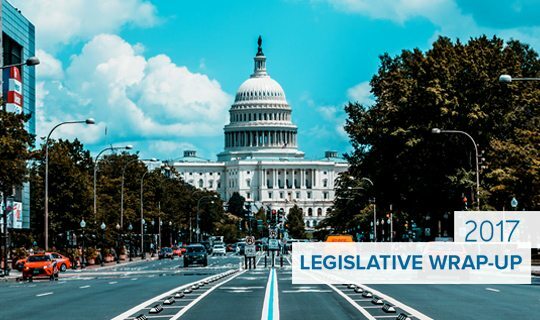 To learn more about Responsibility.org’s work in the state legislatures check out the 2018 Mid-Year Legislative Report.